A sleek but perfectly tousled look for short hair. 1. 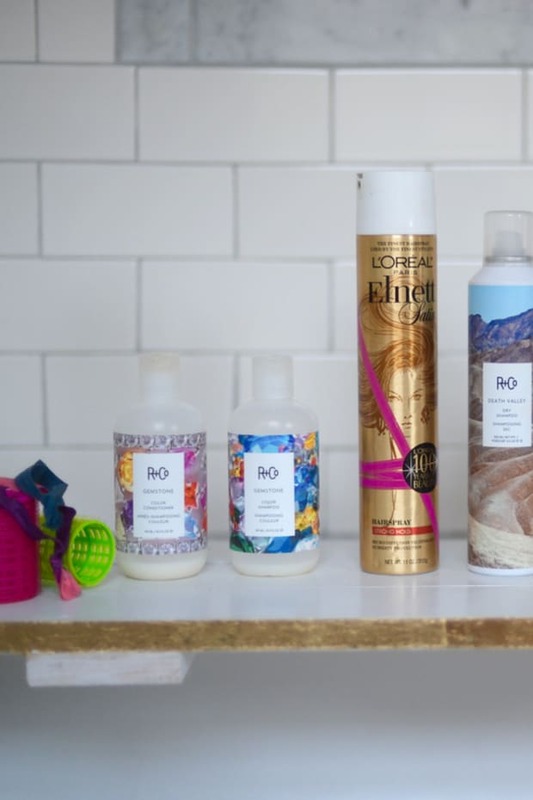 Start with clean, brushed and toweled-dry hair. As soon as you get out of the shower, wrap it in a towel to remove any excess water. 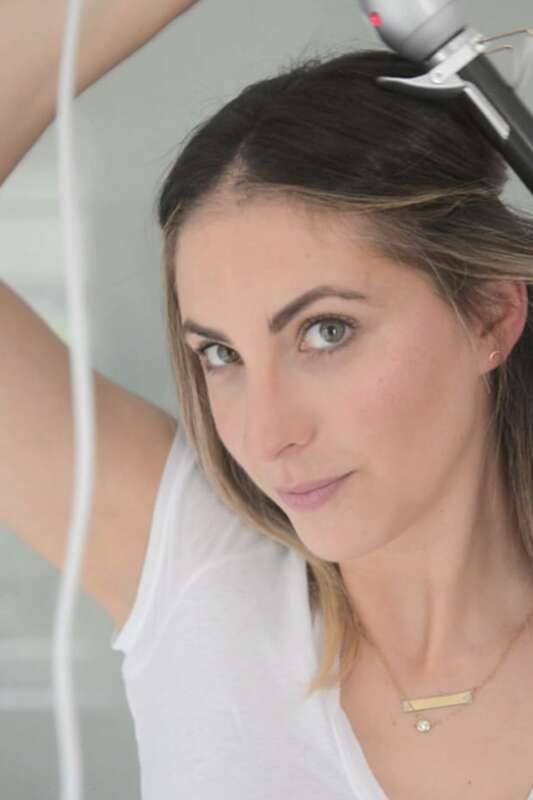 I&apos;m able to secure it in a messy high bun for several minutes before blow-drying it, but you may need to start blow-drying your hair immediately if it dries quickly! 2. While your hair is damp, add a taming styling spray. I spritz Oribe Featherbalm Weightless Styler directly onto my hands, then distribute it through my hair, rubbing my hands together at the ends. This helps keep frizz in check and my blow out last longer. 3. 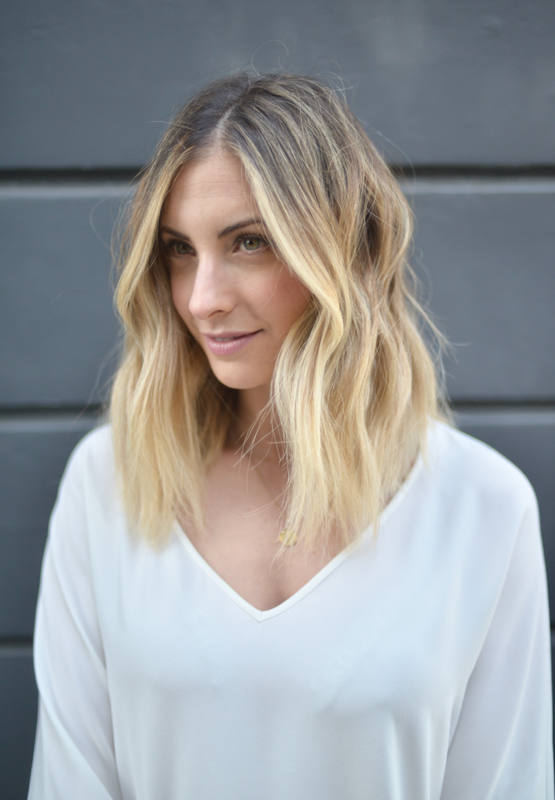 Divide your hair into sections before blow-drying it smooth. 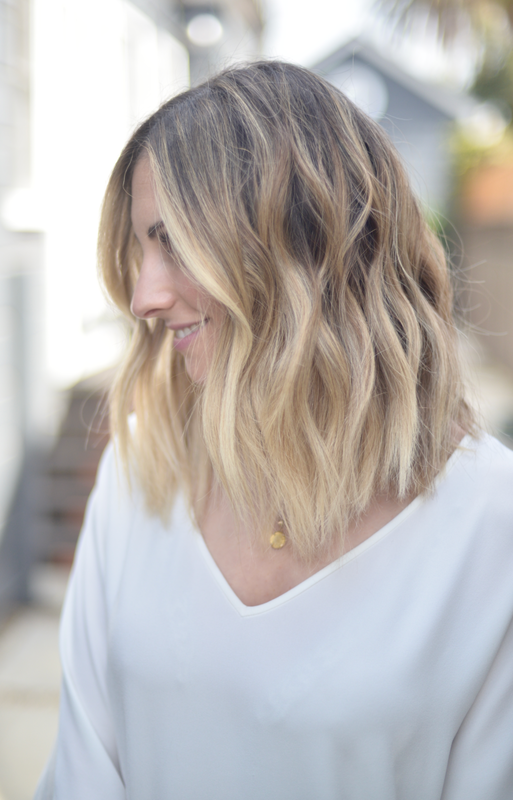 To do this, I pull roughly two-thirds of my hair into a half top-knot, leaving the bottom layer, at the nape of my neck, out. (For a sleek blow-out, I&apos;ll be a little more careful here, but since I&apos;m adding waves at the end, I don&apos;t have to be quite so precious). 4. Using a blow dryer with the concentrator nozzle attached, rough-dry the hair in the back until 80% dry. This helps cut down on over-all drying time without affecting the finished look. 5. Once the back section of hair is roughly dry, use a round brush to grab a two-inch section of the hair and wrap it around the brush. Here&apos;s where this process differs from a sleek, blow out: Instead of using the shape of a round brush to create a swingy movement, you&apos;re using the grip of the round brush&apos;s bristles to create tension as you blow it out. This tension will ensure that the hair isn&apos;t fluffy on top. You can use a paddle brush here, but I&apos;ve found this results in fluffier hair, since it doesn&apos;t grip the individual strands as well. Again, tension is key. 6. Once straight and dry, repeat the process on the middle third section. Before drying the top section, separate it further into two smaller sections—because the top section is most visible, you want to make sure it&apos;s really sleek and frizz-free. You aren&apos;t going for glossy-sleek, so no need to get it bone-dry here, you just want to dry it enough so that you hair is straight and mostly dry. 7. Once all of your hair is blown smooth, separate it again into the same three-part sections, leaving the bottom section (closest to the nape of the neck) down. 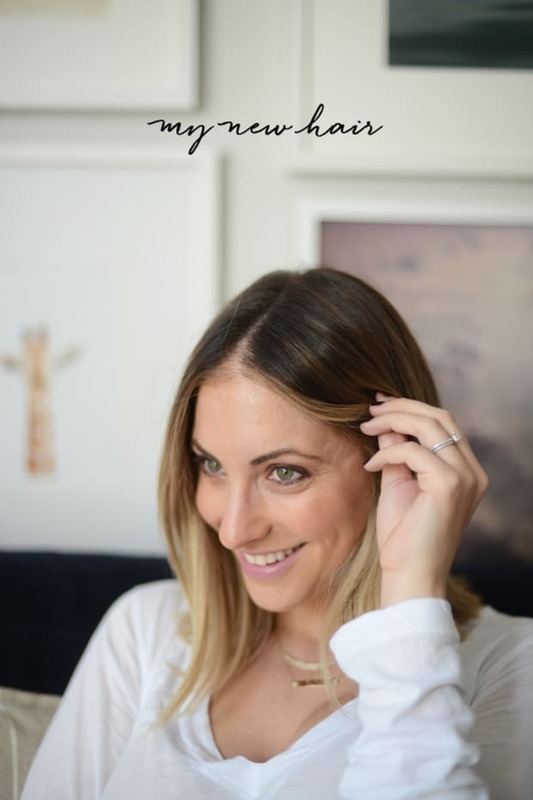 Starting with a one to two-inch section of hair closet to your face, begin curling one portion of hair towards you face, and the next one away from your face, alternating (see the video!). You want to make sure it isn&apos;t too, too tight around the curler and leave about two inches out of the curling iron so it doesn&apos;t end up too Shirley Temple-y. 8. Once the entire bottom section is curled in alternating directions, separate the middle third section. Curl the first section away from your face, then continue all the way around alternating. 9. Once you get to the top section of hair, separate it into two smaller sections (which makes it more manageable to keep the "done" and "undone&apos; sections separated). 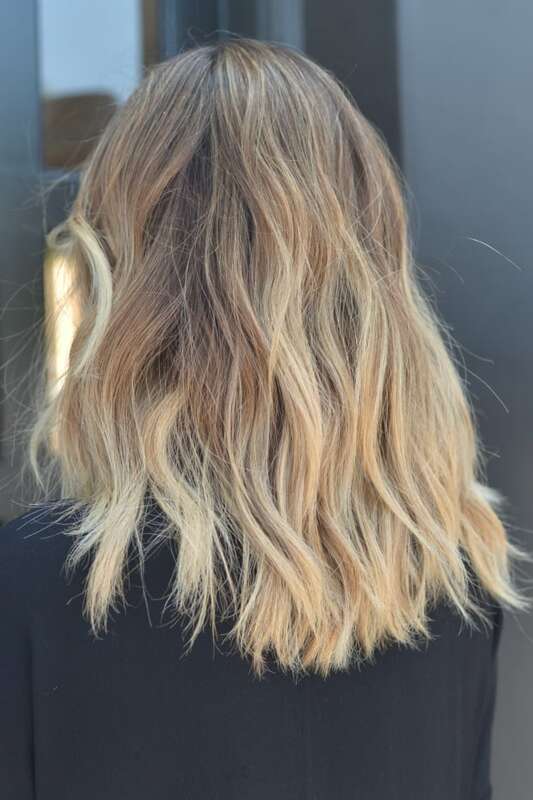 Again, begin with section in front, but grab slightly more than two inches here (which will help frame your face and create a relaxed, tousled look), and curl it away. Alternate curling towards and away, in this manner, until all your hair is curled. 10. Once you&apos;ve curled all your hair, spritz the Oribe Dry Texturizing Spray over the hair, tousling as you go, and scrunching it at the crown for a little more lift. This helps add a beachy texture and slight hold. That&apos;s it!